Following iQIYI, Youku is the second major video hosting service to turn off view count functionality. The company released a statement to explain that they wanted to foster a good environment in the industry and to destroy the noise from popularity indices. Going forward, Youku has disabled the view count feature on their website. They believe that ratings and view count do not fully exhibit the value of a film production. A literary film's influence and meaning cannot be based on one measure. They also state that the National Radio and Television Administration (NRTA) has developed an evaluation system. Turning off view count is just the first step but not the final solution and they believe that more web hosting companies will join and adhere to the new standards. This is like Netflix turning off their star feature and never releasing their viewer counts. It’s useless. Why not add a feature where people can rate the dramas? Then again the anti-fans would have a field day. Douban is quite trash nowadays too…. Nice job Youku! I am sick and tired of those directors and actors cheating about their fake popularity through the use of high ratings and viewerships. They pay people to do those ratings, and earn back double. And the people who didn't cheat never gain visibility although they work so hard. If they are going off by quality then most dramas will fail to be relevant. Even nowadays with online views and celebrity fandoms, very few dramas manage to stand out. There is also the question of what is actually is good and what some critics say is good. And like another comment says even douban is not reliable since fandoms and antis battle each other out increasing or decreasing ratings of certain dramas. I still believe in douban rating. It's more reliable than other platform that I know, although companies can still hire people to give/reduce stars. 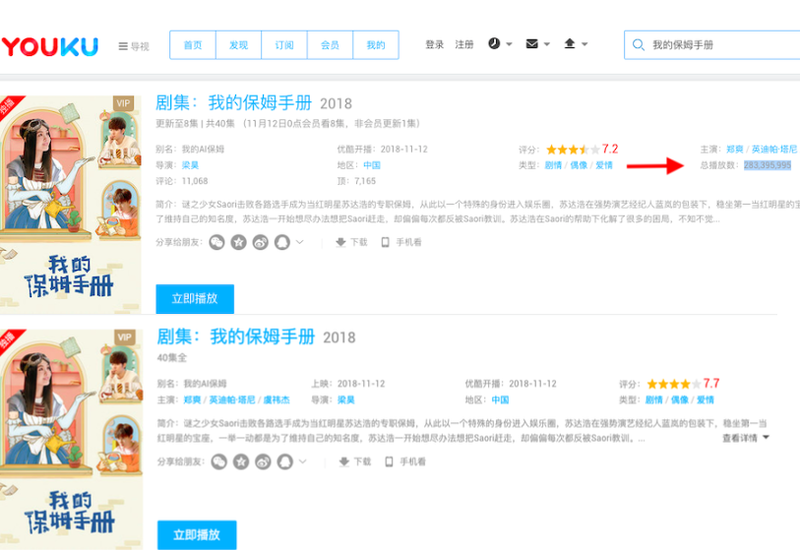 Nah Douban ratings are completely rigged. This was exposed not long ago.